Project 365: I <3 Flag Raising Day! (Day 160) | Viva La Vida! Got to attend Bayang Malaya, Tayo na, the ABS-CBN Flag Raising Day taping bright and early at Studio 10 with the ABS-CBN employees. This was aired on June 12, on ABS-CBN Channel 2. 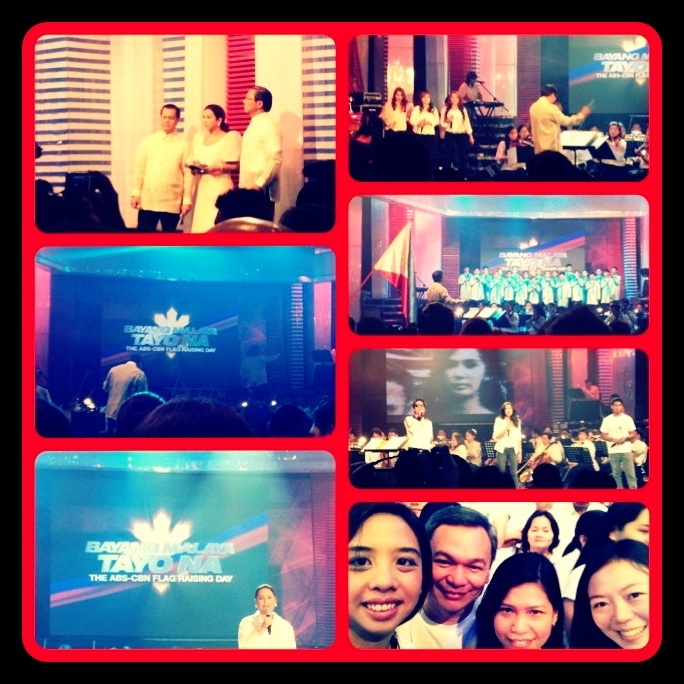 The program featured the ABS-CBN Philharmonic Orchestra lead by Maestro Gerard Salonga, with Aegis and other performers. This was hosted by top news anchors Noli de Castro, Korina Sanchez and Ted Failon. This entry was posted in Let's Celebrate, My Day Job, Project 365 and tagged Bayan Mo I-Patrol Mo, Independence Day, project 365, TV Patrol, work by Roxanne Calingo. Bookmark the permalink.